The Fall 2018 FREE After-School Program session begins Tuesday, October 9th, 2018. 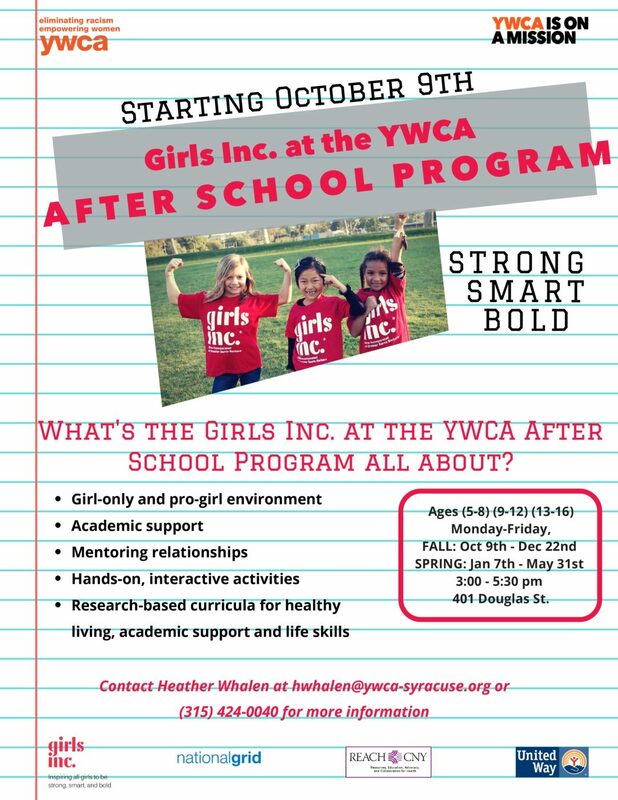 In this Program, Girls Inc. at the YWCA provides girls with trusting, mentoring relationships; a girls-only and pro- girl environment, and research-based, hands-on programming. Three critical goals drive our programming – that girls lead healthy lives, succeed academically, and have life skills needed that prepare them for adulthood. To meet our goal of girls leading healthy lives, we work to ensure that girls have the skills, knowledge, and support to take charge of their health and increase healthy behaviors throughout their lives. This is much more than an after-school program – we are the place and have the people that help girls succeed. Click here to download the Afterschool Application .